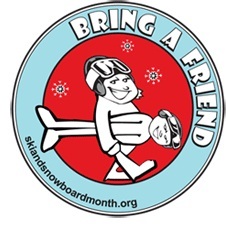 WASHINGTON, DC - Organizers of Learn to Ski and Snowboard Month (LSSM) are encouraging snow sports industry employees to take the “Bring a Friend Challenge” this winter. The Challenge is open to ALL current skiers and snowboarders. 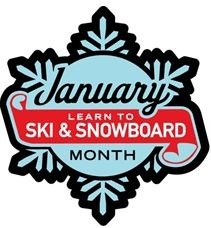 The Bring a Friend (BAF) Challenge offers incentives from LSSM partners for current skiers and snowboarders willing to help newcomers sign up for beginner lessons from professional instructors. It is not limited to January. The Challenge starts December 17 and ends March 17. Details are located at bringafriend.org. All six industry rep associations - EWSRA, NEWSR, WWSRA, SWRA, MRA and MWSRA - are collaborating to put together "goodie bags" that will be among weekly prize drawings that will start the first week in December. Already posted are prizes from HEAD, Rossignol, RAMP Sports, skis.com and snowboards.org. More brands will be announced soon. Warren Miller Entertainment will also highlight Bring a Friend during its Flow State Film Tour that kicks off on October 19 in Salt Lake City. Winners of three Grand Prize trips will be selected when the Challenge concludes in March. The trips are for both a current participant and the newcomer he or she introduced. Destinations include Sun Valley (Ski Idaho); Park City, The Canyons and Deer Valley (members of Ski Utah) and Smugglers' Notch (Ski Vermont). Trips are for the 2013/2014 season and include lodging, lift tickets, rentals, and lessons for both parties. The Idaho and Utah trips also include airfare from a major city. The Vermont trip is intended for East Coast residents. All LSSM/BAF partners are cited on the LSSM and BAF websites. Learn to Ski and Snowboard Month is an industry initiative organized by state and regional ski associations, leading snow sports media outlets, rep and retailer associations, the Professional Ski Instructors of America, the American Association of Snowboard Instructors, United States Ski and Snowboard Association, SnowSports Industries America, National Ski Patrol, and National Ski Areas Association.